Thanks to your feedback, Swimia has turn out to be in just many months one probably the most important sites of swimming pools. Here you have all of the info we know about Pickett Pool, in Philadelphia. Do you realize the opening hours? Are they providing any course? What is the price for a single swim? 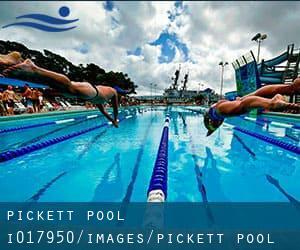 Don't neglect you can also promote this pool so Pickett Pool will appear the very first of Philadelphia, or even the initial of your country, contact us to know additional. Swimmers like you reported 25 yards, Indoors. Phone number and e mail address are number for this Swimming Pool. Write down the GPS coordinates we have on our file for this Pool, so you can enter them into your GPS to assist you locate the Aquatic Center easily. If you believe that any in the info is incorrect, please get in touch with us. Enable us be better day-by-day. Updated on 2019 17th St. and Race St. , Center City , Philadelphia , PA , USA (Postal Code: 19103). Swimmers like you reported 20 yards, Indoors. Unfortunately we do not have the email address of this Pool, but we can provide you with the phone number. Updated on 2019 5722 Greene St. , Philadelphia , PA , USA (Postal Code: 19144). This sports center provides 25 yards, Indoors. Contact facts for this Pool like phone number and email address are number. Updated on 2019 5835 Spruce Street , Philadelphia , PA , USA (Postal Code: 19139). Among all of the activities provided by the center, should you be thinking about swimming you will enjoy 25 yards, Indoors. If you have to get in touch with this Pool, e-mail address and phone number are both number. Updated on 2019 1200 Market Street , Philadelphia , PA , USA (Postal Code: 19107). Among all the activities offered by the center, should you be thinking about swimming you will enjoy ~20 meters, 2 lanes, Indoors. Just in case you need to contact this Swimming Pool before dropping by, we only know the phone number. Updated on 2019 1400 N. Broad St. , Philadelphia , PA , USA (Postal Code: 19121). This sports center offers 25 meters, 6 lanes, Indoors. For this Swimming Pool, only phone number is number here. Updated on 2019 4200 Wissahickon Avenue , Philadelphia , PA , USA (Postal Code: 19129). Among all of the activities offered by the center, if you are interested in swimming you will delight in 25 yards x 25 meters, 10 lanes, 3.5 feet - 10 feet depth, 10.5f maximum depth, Indoors. Just in case you would like to get in touch with this Swimming Pool prior to dropping by, we only know the phone number. Updated on 2019 5120 Chestnut St. , Philadelphia , PA , USA (Postal Code: 19139). This sports center delivers 25 yards x 32 meters, 6 lanes, Indoors. For this Swimming Pool, only phone number is number here. Updated on 2019 1073 Ridge Ave. at Domino Lane , Philadelphia , PA , USA (Postal Code: 19128). This sports center offers 25 yards x 25 feet, 4 lanes, Indoors. For this Swimming Pool, only phone number is number here. Updated on 2019 851 Franklin Mills Circle , Philadelphia , PA , USA (Postal Code: 19154). Swimmers like you reported 25 meters, Indoors. Unfortunately we do not have the email address of this Pool, but we can provide you with the phone number. Updated on 2019 Rowland Ave. and Shelmire Ave. , Philadelphia , PA , USA (Postal Code: 19136). This sports center offers 25 meters, 6 lanes, Indoors. Contact info for this Swimming Pool like phone number and email address are number. 3701 Walnut St. , Philadelphia , PA , USA (Postal Code: 19104). Swimmers like you reported Olympic size, 6 lanes or 6 + 6 lanes, Indoors. Unfortunately we do not have the email address of this Pool, but we can provide you with the phone number. Updated on 2019 4401 ´G´ St. , Philadelphia , PA , USA (Postal Code: 19120). This sports center offers 20 yards, Indoors. Contact info for this Swimming Pool for instance phone number and email address are number. 1724 Christian St. , Philadelphia , PA , USA (Postal Code: 19146). Swimmers like you reported 25 yards x 25 feet, 6 lanes, Indoors. Unfortunately we do not have the e-mail address of this Swimming Pool, but we can provide you with the phone number.